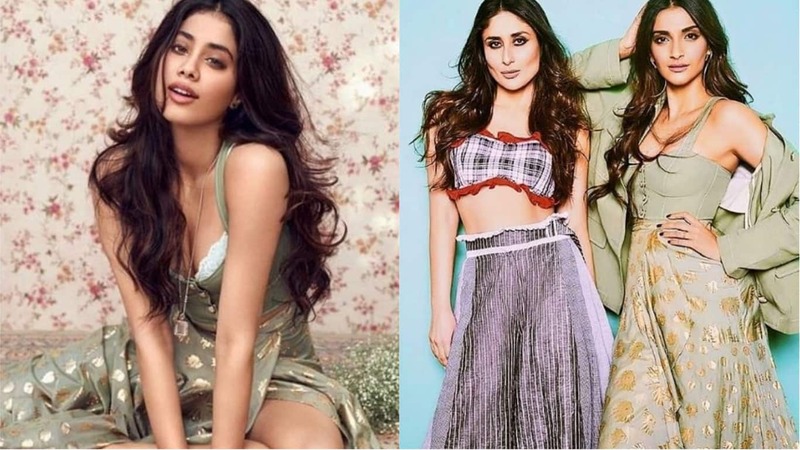 Janhvi Kapoor just did her first ever photo shoot for Vogue India. The moment was rather special for the budding actress as her mom Sridevi longed to see this photoshoot happen. Well, the pictures from the shoot are out and turns out that the photo shoot is special for more than one reason. 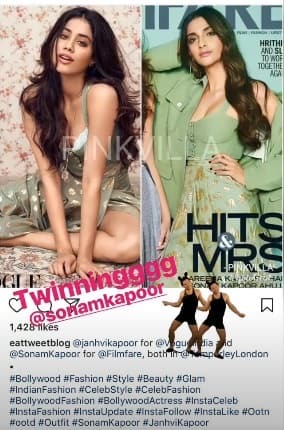 This week Sonam Kapoor’s photoshoot for Filmfare was out too and it so happened that in the two different shoots we can see the Kapoor sisters Janhvi and Sonam twinning in the exact same outfits. They both wore green Temperley London outfits.Janhvi went ahead shared the twinning pictures of them in her Instagram story. 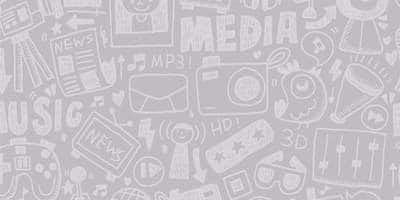 Sonam and Kareena did a photo shoot with Filmfare for their upcoming film Veere Di Wedding that releases this Friday. Sonam also shared Janhvi’s Vogue photoshoot expressing her excitement and pride over her younger sister’s big moment. In a special interview with Karan Johar for Vogue, Janhvi also spoke about her mother. Her debut film Dhadak opposite Ishaan Khattar releases in July 2018. 5 Reasons Mani Ratnam's Yuva Should Be Watched Again!